A pleasant mountain tour from Umhausen to marvelous Wurzberg Alm. All those who still have enough stamina can continue up to Innerbergalm at 1960 m above sea level. Follow the flat trail upstream along the river shore. Behind Umhausen, where the Ötztal valley narrows, a moderately ascending asphalt trail winds its way up to the hamlet of Köfels. On your way to Köfels you cross the so-called "Köfler Bergsturz", a 3 km³ big rockslide area which was formed already some 8700 years ago. The crashed mountain blocked the whole Ötztal valley and also Ötztaler Ache river. Due to frictional heat "Köfelsit" stone was formed, a very special almost glassy mineral that is similar to meteorite material. The Stuiben Falls as well owe their existence to this giant rockslide. 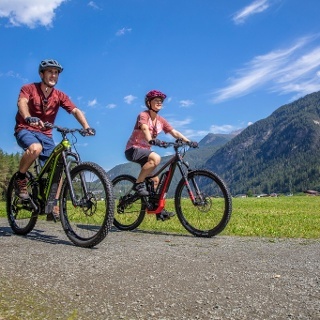 Passing the lovely village of Köfels, towering high above the Ötztal at no less than 1400 m above sea level, you take the forest trail up to Wurzberg Alm. 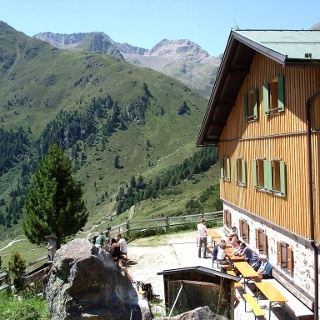 There are no considerable ascents until you reach the quaint mountain inn at 1573 m above sea level. A refreshment stop is an absolute must. 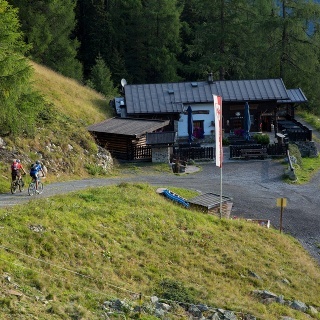 Start at the bridge, directly at the Ötztal Trail. The moderate asphalt ascent to Köfels begins where the Ötztal narrows considerably. 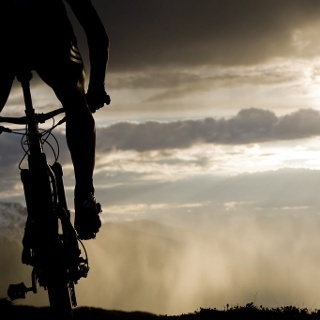 The biker now drives over the terrain of an ancient colossal, known as "Köfler Bergsturz". 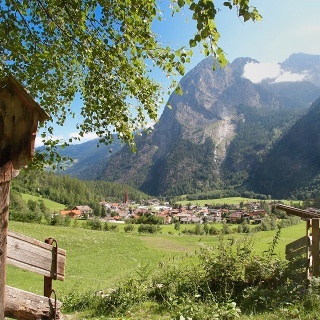 After passing the pretty village of Köfels, which sits at 1,400 meters above the Ötztal, the forest trail starts at the Wurzberg Alm. The slopes are still easy to drive, so that a relaxed stop on the 1,573 meters high alpine pasture is not a problem.